Sweet pepper, shrimps, rice, enoki mushrooms and french beans. 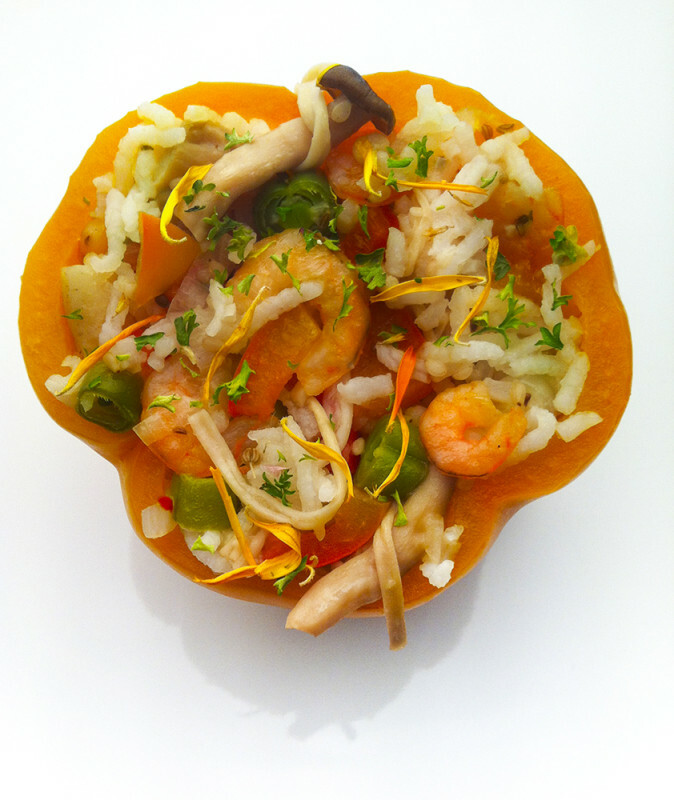 Sweet pepper stuffed with rice, shrimps, enoki mushrooms and french beans. Garnished with dehydrated marigold and curly parsley. Posted on 18th February 2015 18th February 2015 Full size 674 × 800Leave a comment on Sweet pepper, shrimps, rice, enoki mushrooms and french beans.